Christian Yelich homered again, his fourth in two nights against St. Louis, helping the Brewers to a 8-4 win over the Cardinals at Miller Park. Yelich clubbed his third three-run shot in the last two games in the fifth inning. 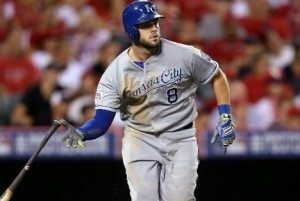 It gives him nine home runs for the season, which ties him for the National League lead. Eight of the nine have come against the Cardinals. Christian Yelich continued his early season success against division rival St. Louis, clubbing three home runs and driving in seven, leading the Milwaukee Brewers to a 10-7 win over the Cardinals on Monday night at Miller Park. It was the first three-homer game of Yelich’s career. In the five games against the Cardinals so far this season, Yelich is hitting .563 with seven home runs, 15 RBI and nine runs scored. He has hit seven of his eight home runs this season against St. Louis. 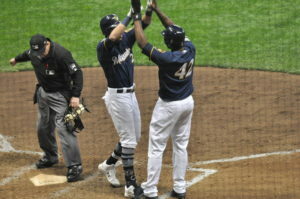 Mike Moustakas also went deep for the Brewers. After the two teams went back and forth in the contest, Yelich clubbed his second three-run home run of the game off of Mike Mayers to make it 9-6 Brewers. He added his third homer of the night in the eighth, a shot to left center off of Cardinals reliever John Brebbia. Marcell Ozuna ended the scoring with a home run in the ninth off of Josh Hader. The Cardinals also got home runs in the first from Paul Goldschmidt and Paul DeJong off of Freddy Peralta. The Brewers continued to get a strong offensive showing from their pitchers. 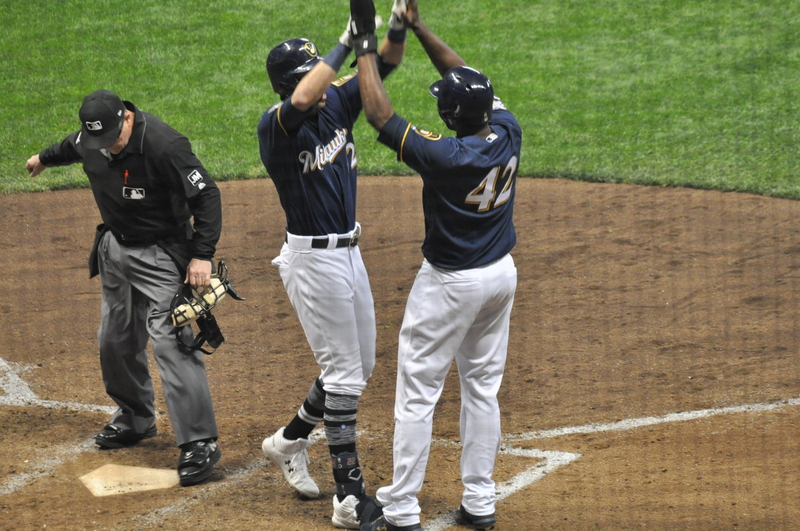 Freddy Peralta delivered an RBI single in the second and Brandon Woodruff added a pinch-hit double in the fourth, hits number 10 and 11 for Brewers pitchers this season. Game two of the series is Tuesday night (6:40 p.m.) at Miller Park. Brandon Woodruff (1-1, 6.00) gets the nod for the Brewers. Jack Flaherty (1-0, 2.93) goes for the Cardinals. Another single bad inning has cost a Milwaukee Brewers starter a chance at a win. Brandon Woodruff allowed four runs in the third inning and the Brewers fell to the Los Angeles Angels 4-2 in Anaheim on Wednesday night. It’s the sixth straight win for the Angels, who swept the three-game series from the Brewers. To make matters worse, the Brewers, after an off day today, will open a three-game series against the Dodgers on Friday night. The Brewers had won their first three series this season and hadn’t lost a series since last July when they dropped five games in four days to the Pittsburgh Pirates just before the all-star break. In two innings before the third and three innings after, Woodruff allowed just one hit and no runs. Christian Yelich gave the Brewers an early 1-0 lead with a run-scoring single in the first. He struck again in the seventh, scoring Orlando Arcia with another run scoring single. The Brewers lose third baseman Travis Shaw in the second inning. He left early after being hit by a pitch on his right hand. X-rays were negative and Shaw is listed as day-to-day with a bruised hand. The Milwaukee Brewers fell behind 6-0, rebounded to take an 8-7 lead, before falling to the Los Angeles Angels of Anaheim 11-8 on Tuesday night. It’s the third time in the last five games that the Brewers pitching staff has allowed at least 10 runs. Tommy La Stella capped off the Angels six-run first inning with a three run home run. It was his second long ball of the season and second in as many games. Former Brewers catcher Jonathan Lucroy drove in three runs in the win. He drew a bases loaded walk in the seventh that pushed across the winning run. Brewer pitchers walked six batters in the loss. Two of the six came in the 8th off of Jake Petricka as the Angels scored twice to add to their lead and pull out the win. Angels outfielder Mike Trout left the game early with a strained groin and is listed as day-to-day. That could keep him out of tonight’s series finale. 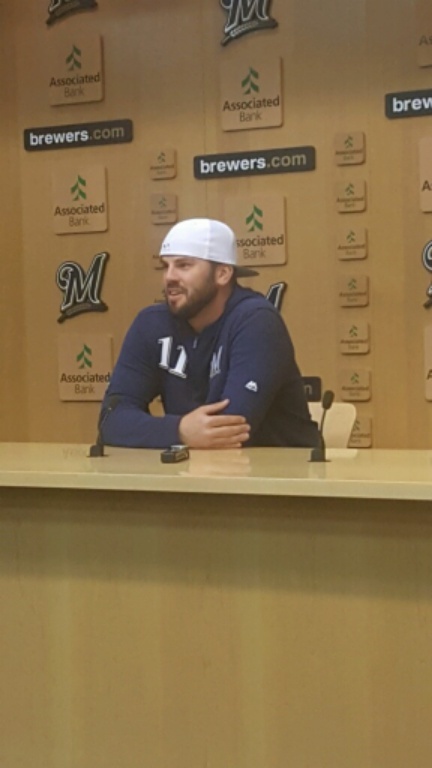 Yasmani Grandal homered twice and Mike Moustakas also went deep for the Brewers. Freddy Peralta got the start for the Brewers but managed just 3 1/3 innings before giving way to the bullpen. He allowed 7 earned runs on 8 hits with two walks and two home runs. Peralta saw his ERA climb to 6.91. Alex Claudio took the loss in relief. Brandon Woodruff (1-0, 6.00) gets the start for the Brewers in the series finale. Felix Pena (0-1, 4.50) gets the nod for the Angels. Jose Quintana entered Friday’s game against Milwaukee with a 6-2 record and a 1.62 ERA in 11 starts. Seven of those 11 starts came last season, where Quintana went 4-1 with a 2.13 ERA. The Brewers, for at least one night, made Quintana pay. The Brewers scored eight runs on eight hits in just three innings, rolling to a 13-10 win over the Chicago Cubs in their series opener at Miller Park. For veteran pitchers, spring training is the time to experiment. Milwaukee Brewers right hander Chase Anderson was tinkering with a different delivery. Tuesday, Anderson went back to his old delivery and he threw the ball much better, despite the Brewers falling to the Texas Rangers 3-2. 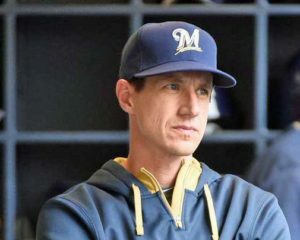 Anderson dropped to 0-3 with a 7.07 ERA this spring, but manager Craig Counsell said Anderson had his best velocity this spring. The Brewers are 13-12-1 in the Cactus League and will send Brandon Woodruff to the mound against the San Diego Padres today. There’s just nine days left until the Brewers open their season on March 28th against the St. Louis Cardinals at Miller Park. Milwaukee Brewers manager went with another bullpen game on Wednesday afternoon, but this time, they ran into a dominating pitching performance as Clayton Kershaw led the Dodgers to a 5-2 win in Los Angeles. Kershaw held the Brewers to a run and three hits in seven innings as the Dodgers took a 3-2 lead in the NLCS. It puts the Brewers in a must win scenario in game six on Friday night at Miller Park. 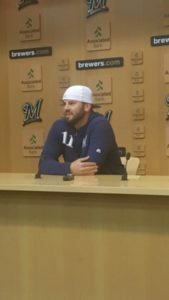 Kershaw’s outing came after he didn’t make it out of the fourth inning in game one of the series at Miller Park. Mike Moustakas singled in the winning run in the bottom of the 10th inning, giving the Milwaukee Brewers a 3-2 win over the Colorado Rockies in the NLDS opener at Miller Park. Christian Yelich clubbed a two-run homer in the third to give the Brewers a 2-0 lead, while the Brewers bullpen tossed eight scoreless innings while allowing just one base hit. Then came the 9th inning and Jeremy Jeffress couldn’t hold the lead, surrendering two runs to tie the game. Charlie Blackmon and Nolan Arenado drove in runs in the 9th for the Rockies. Moustakas delivered the walk-off game winner off of Colorado’s Adam Ottavino. Brandon Woodruff got the start for the Brewers and cruised through three innings before giving way to Corbin Burnes. Burnes didn’t disappoint, striking out three over two innings. Corey Knebel followed for 1 2/3 innings and Josh Hader worked 1 1/3 before handing the ball to Jeffress for the 9th. The Brewers will hand the ball to Jhoulys Chacin in game two of the series this afternoon (3:15 p.m.) in game two of the series. Christian Yelich clubbed a grand slam and Keon Broxton added a three-run homer during a seven-run fifth inning as the Milwaukee Brewers rolled to a 9-4 win over the Washington Nationals in D.C.
Mike Moustakas had a two-run single in the first inning for Milwaukee, which took two-of-three in the series. Brandon Woodruff picked up the win with four scoreless innings of relief. Junior Guerra made it through just three innings, allowing five hits, two walks and four runs. His ERA climbed to 7.62 since mid-July. It would be unbelievable to think that the Brewers would send Guerra out for another start. They have a number of options, including lefty Gio Gonzalez, who the Brewers acquired in a trade last week. Yelich improved his average to .316 with 27 home runs and 81 RBI. The Brewers open a three-game series against the Chicago Cubs at Miller Park on Monday afternoon. Zach Davies (2-5, 5.23) gets the start for the Brewers. Cole Hamels (4-0, 0.69) gets the nod for the Cubs.